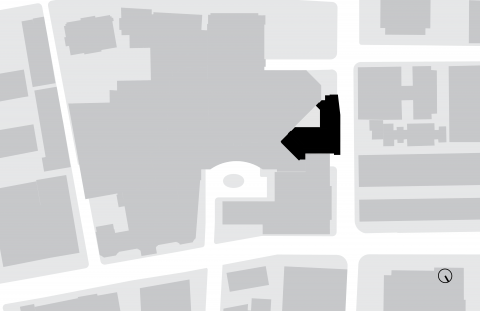 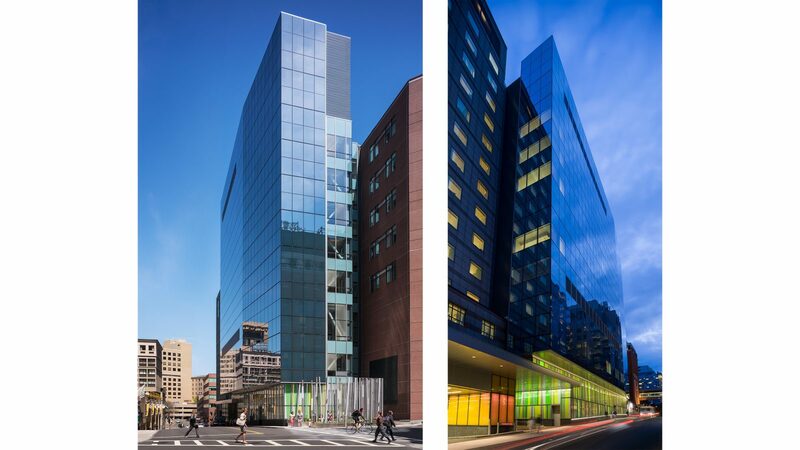 The James Mandell Building, located in the heart of Boston’s bustling Longwood Medical Area, floats quietly above the chaotic architecture of Binney Street. 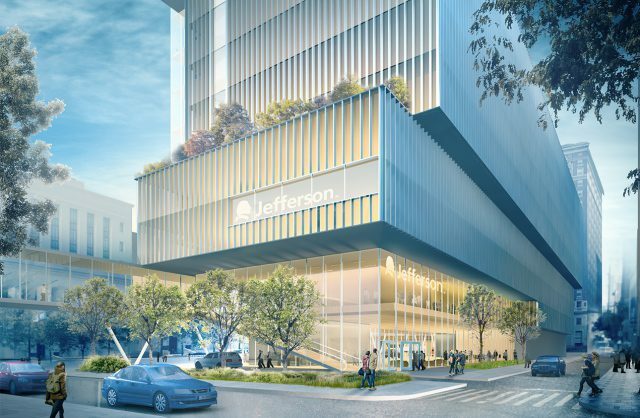 This ten-story urban infill project provides 44 new inpatient beds and clinical support facilities right at the core of the hospital campus. 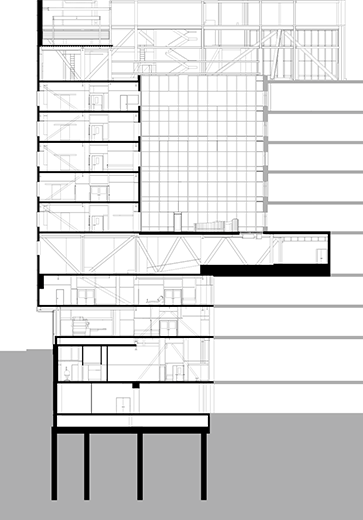 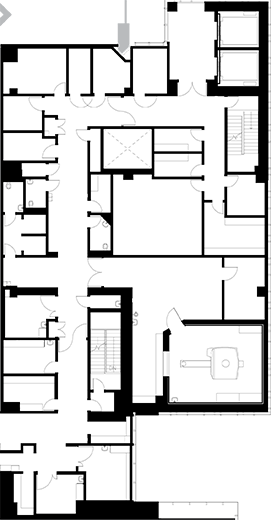 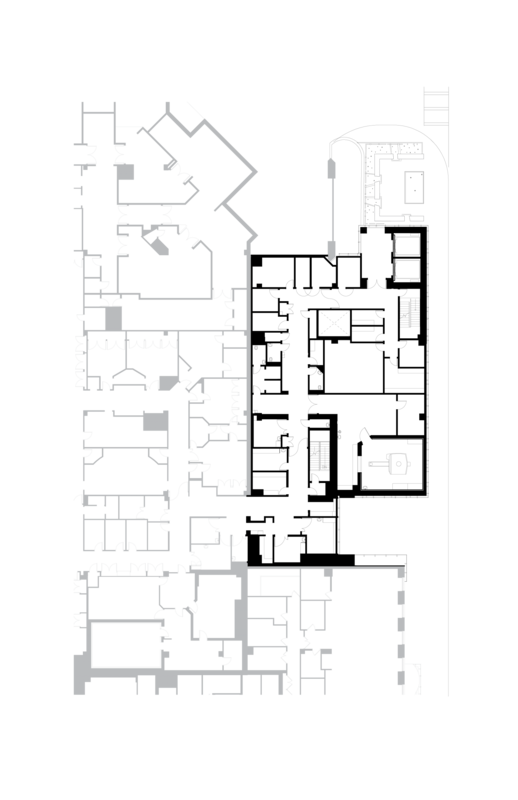 The building’s apparent simplicity belies the complexity of its construction on an impossibly small site. 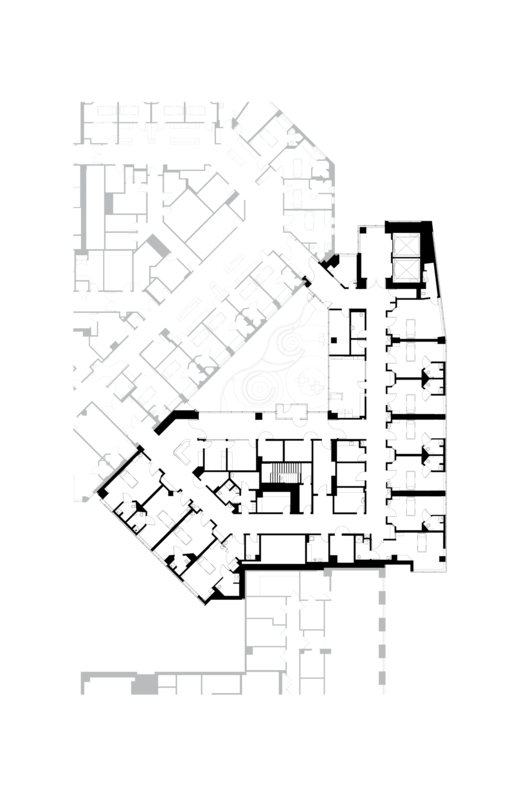 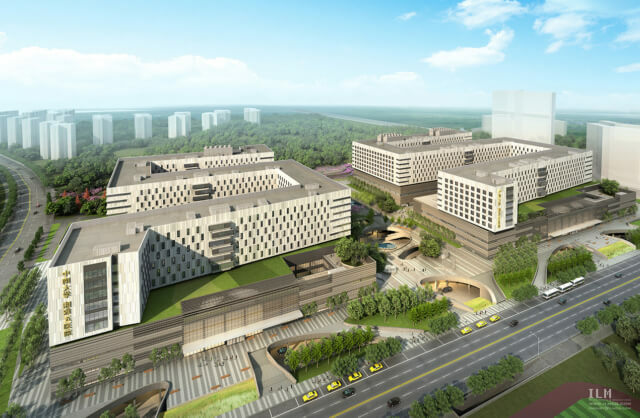 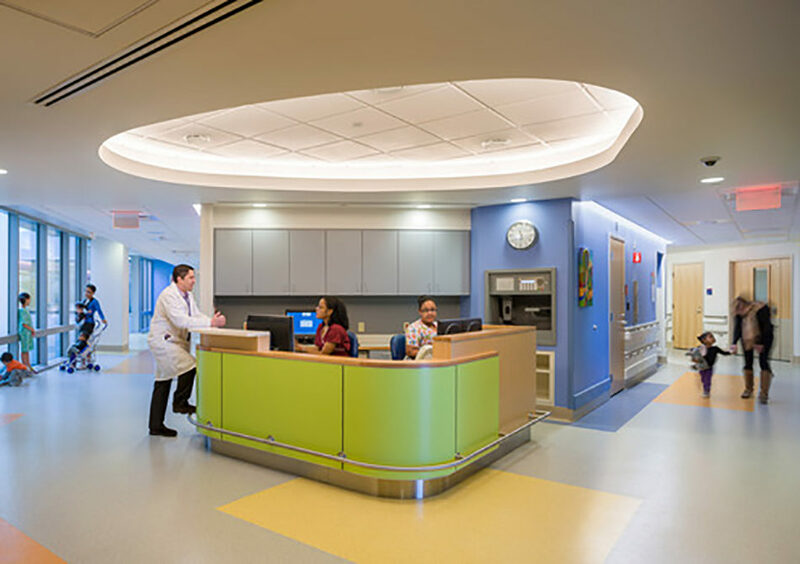 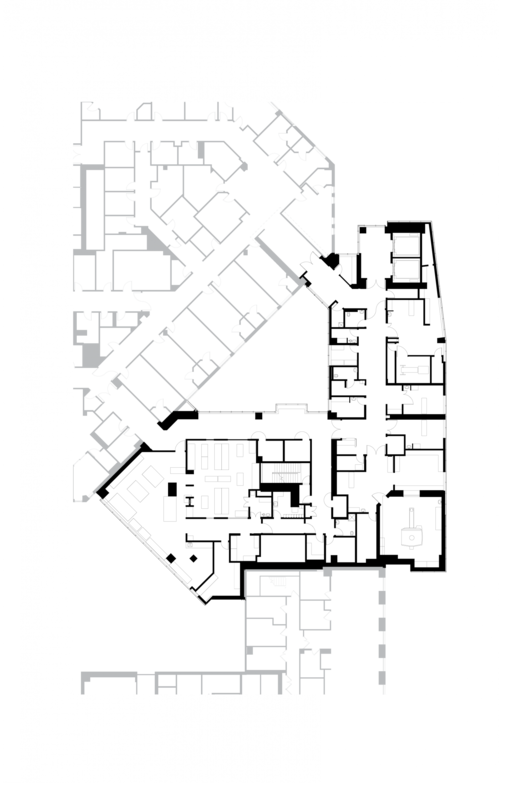 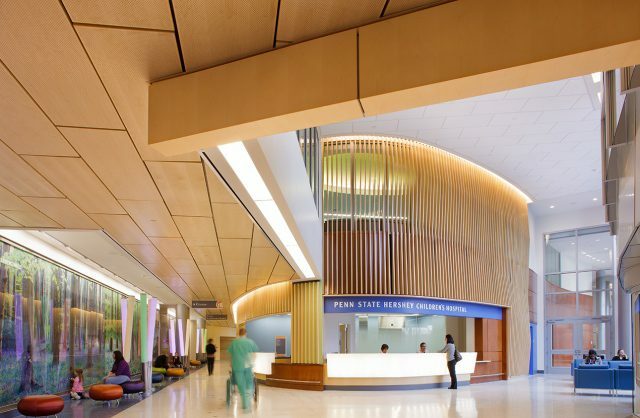 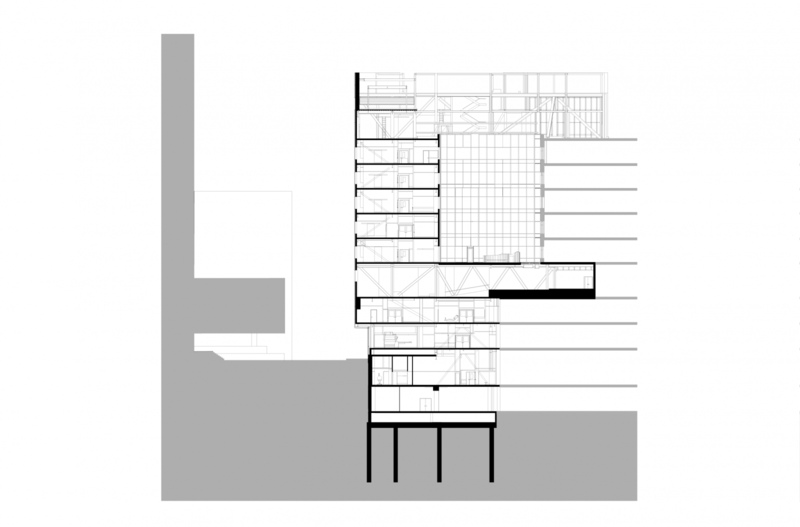 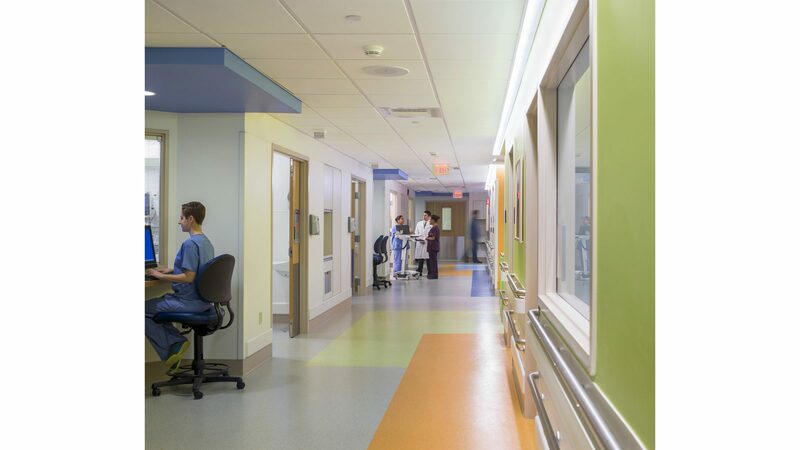 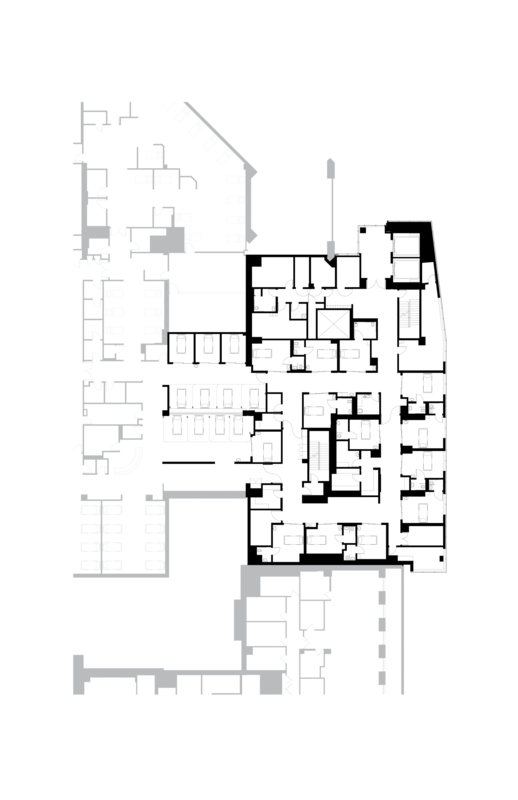 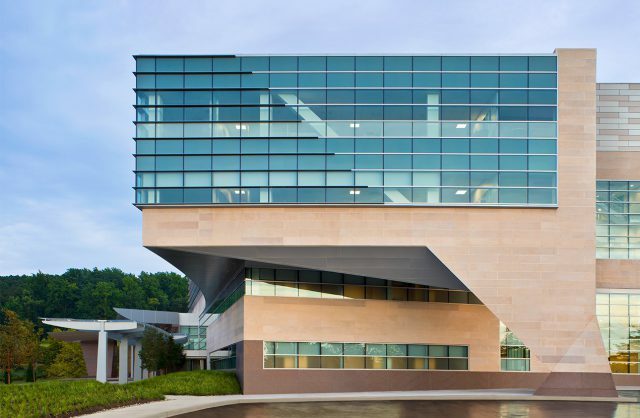 Remarkably, only 55% of the building’s footprint sits on grade; its upper eight stories are cantilevered 65 feet over existing operating rooms, the Emergency Department and ambulance bays, which enabled them to remain active throughout construction. 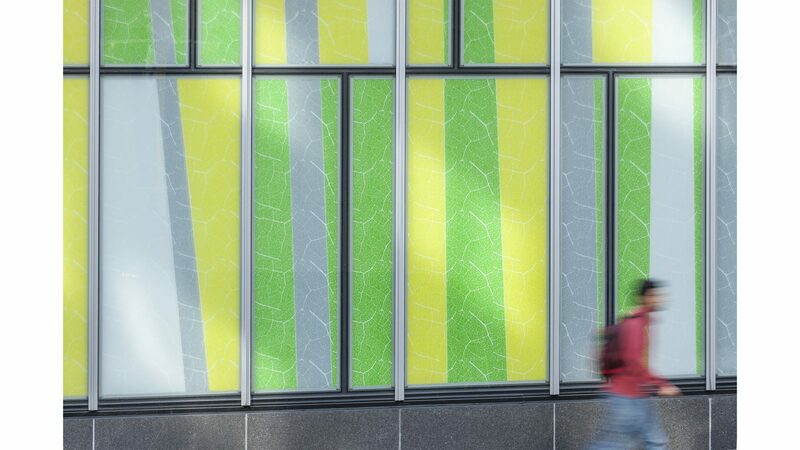 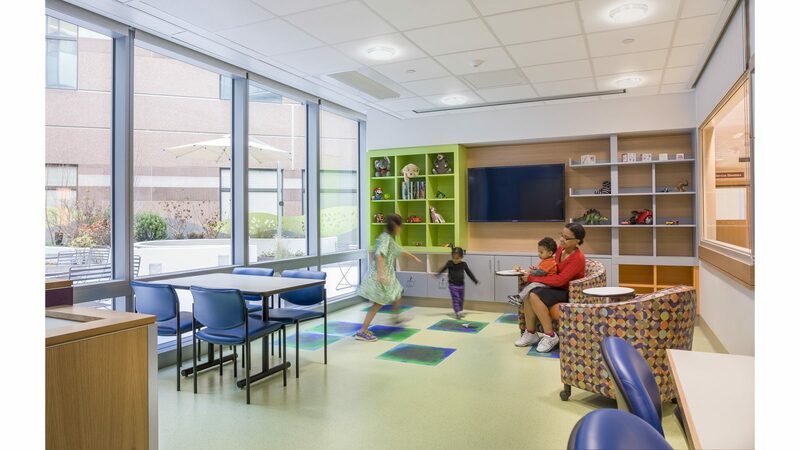 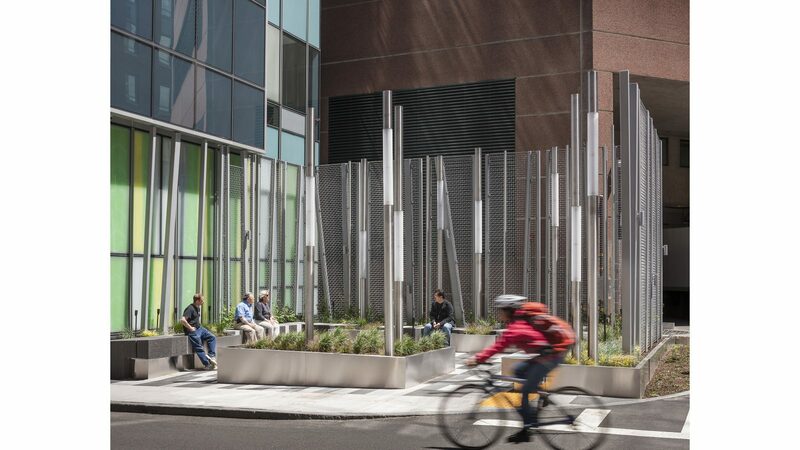 Surrounded by loading docks and other unsightly urban conditions, the building redirects the focus of the streetscape to its animated Art Wall and Pocket Park, which reflect the vitality of this world-renowned children’s hospital. 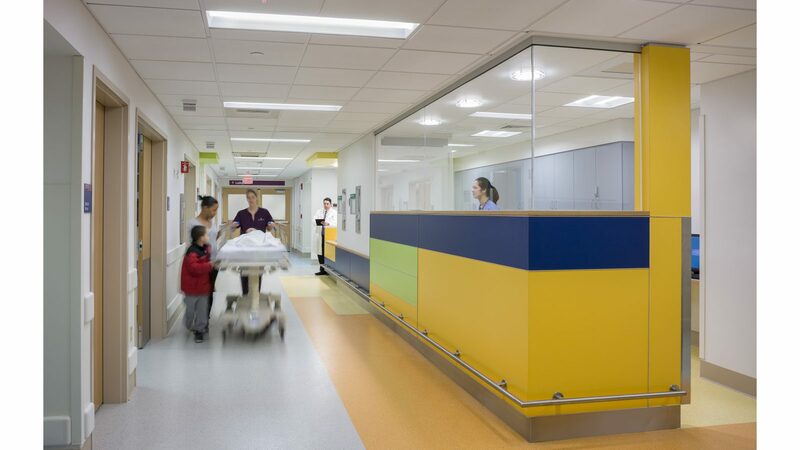 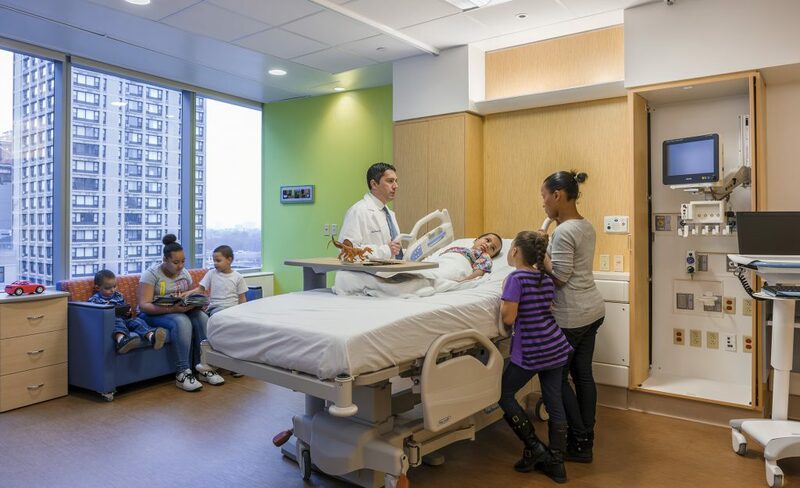 The main challenge of the project was to maximize new patient beds without compromising their quality or that of existing beds. 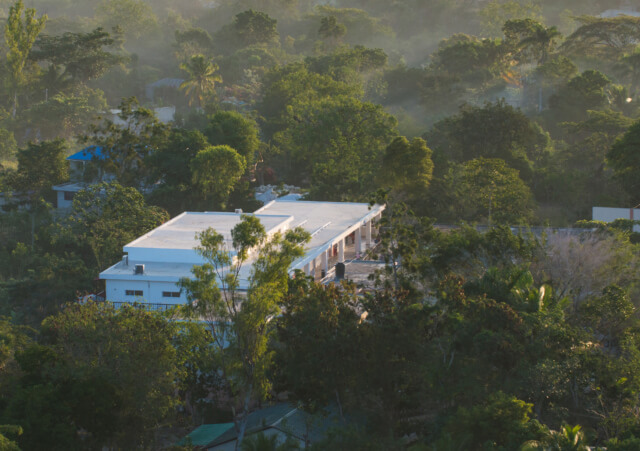 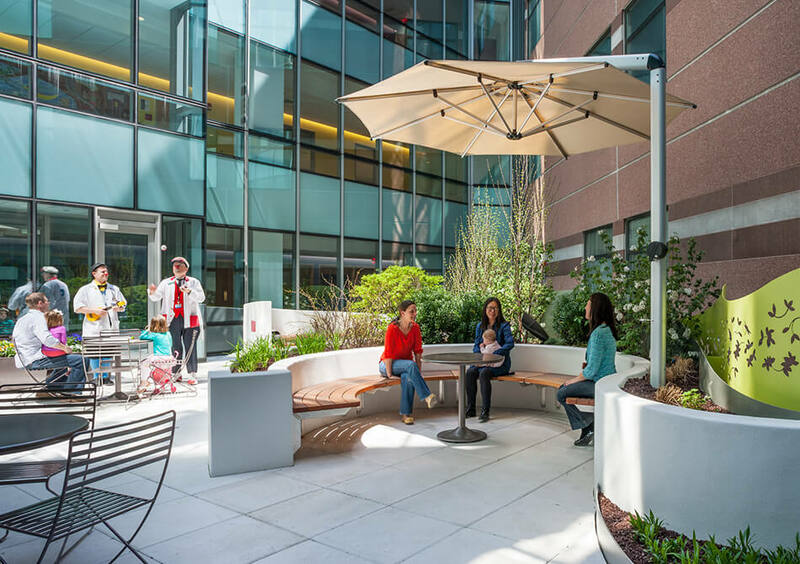 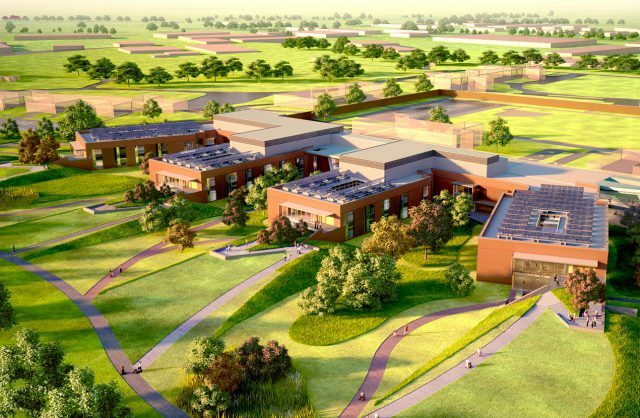 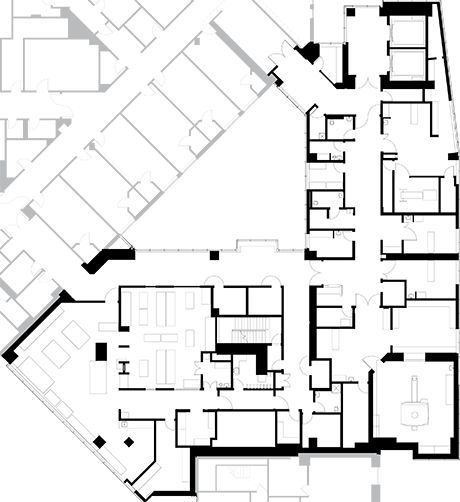 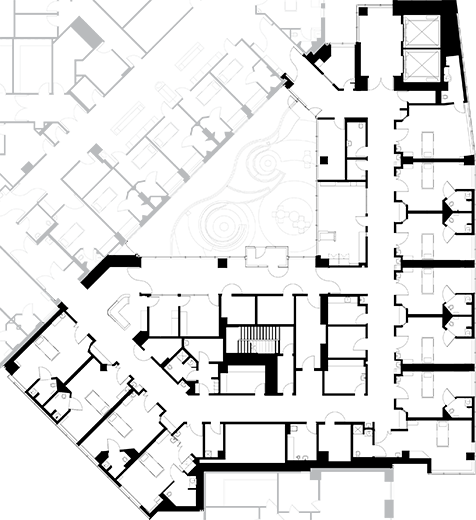 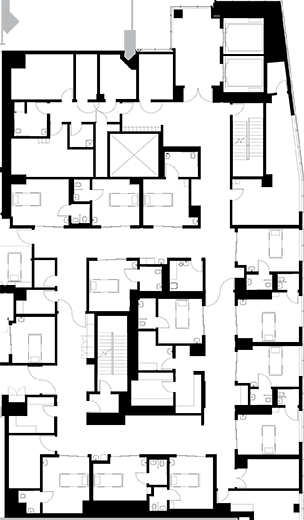 This challenge led to a key opportunity: to create a central courtyard that gives patient rooms and staff areas light and views, despite the tight constraints of the site. 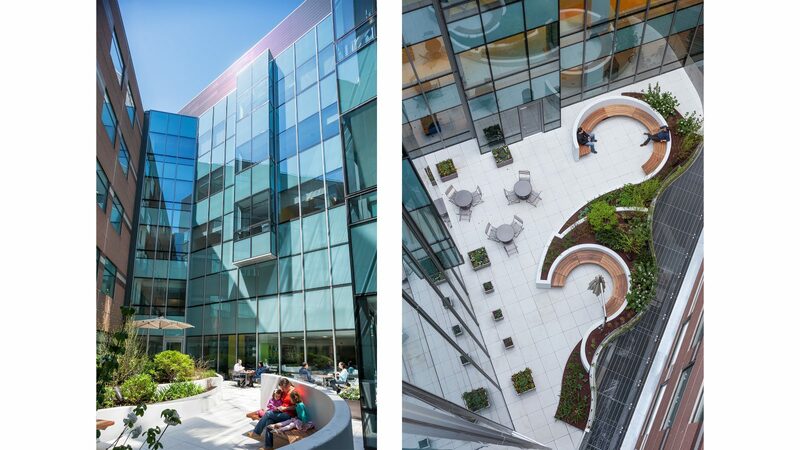 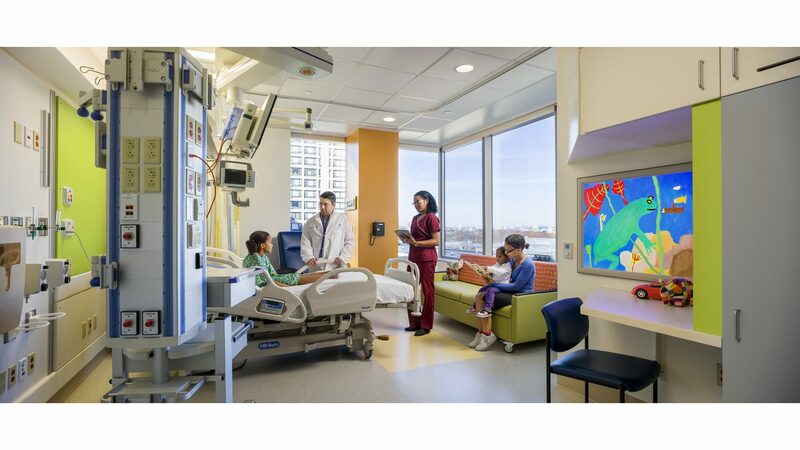 This “hanging garden” is a quiet oasis suspended six floors above the street, offering a refuge for patients, families and staff of the adjacent Bone Marrow Transplant Inpatient Unit.